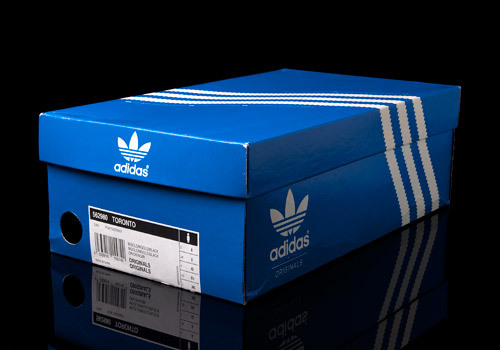 In the 1970′s a ski instructor by the name of Carlo Gruber collaborated with adidas and since then the company periodically releases shoes and apparel in a line under his name. 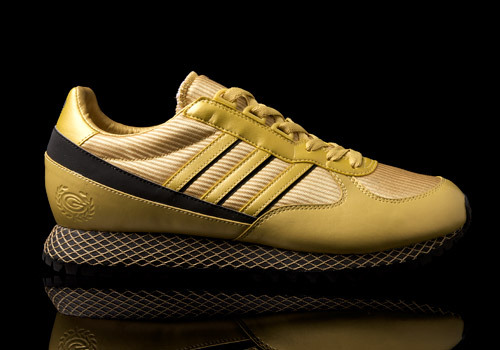 These adidas Toronto running shoes are a fine example of the stylish, yet slightly over-the-top designs that can be expected from the Carlo Gruber line. 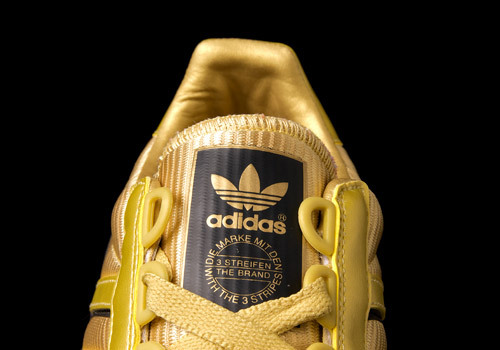 A smooth, gold leather upper climbs this silhouette, stitched to the striped, synthetic patches in the side walls and toe box. The colorway is contrasted by a few slices of black leather in the side stripes, walls and heel area, tongue patch, and outsole. 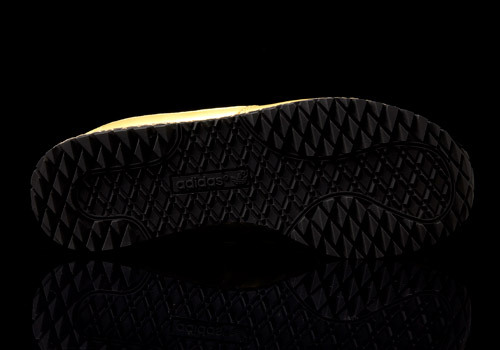 The midsole is both black and gold, painted in a mesh-like diamond patterning, that gives way to the heavy-duty traction on the outsole itself, assembled in a thick diamond pattern. 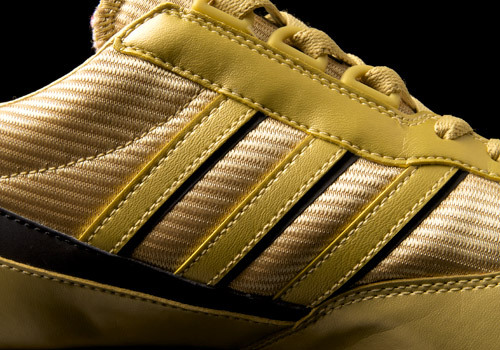 Gold plastic Ghilly eyelets hold the matching laces in place atop the softly padded tongue to give the shoe a more custom fit to the foot. 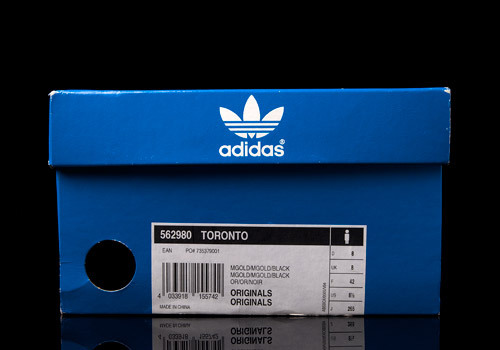 Released in 2006, these adidas Toronto “Carlo Gruber” trainers were packaged in an adidas Originals royal blue box that nearly feels too tame for their quite loud – and almost gaudy – appearance. 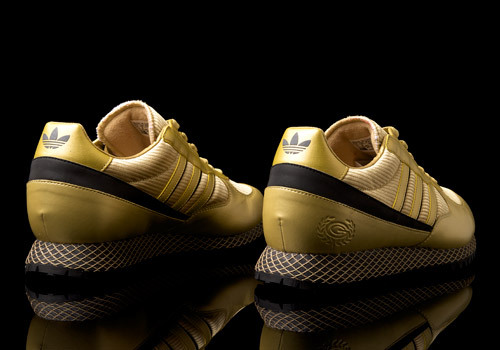 These are definitely not a pair for those folks who consider themselves to be the quiet, shy jogger type.